GE energy-efficient halogen bulbs deliver crisp, white light. This unsurpassed light quality is ideal for adding depth, drama and interest to any outdoor space. These GE energy-efficient halogen floodlights use less energy than standard halogen bulbs, saving money on energy. GE energy-efficient halogen floodlights feature lenses designed to provide a precise beam pattern, dispensing broad beams of crisp, white light on your home's exterior and landscaping. 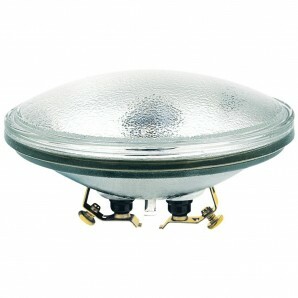 Designed with a unique all-weather construction, they withstand harsh weather conditions better than regular bulbs. Use these bulbs in outdoor stake light and security fixtures and create a dramatic effect..